New Year = More Shows + New EP! Hope you had a great holidays, we spent some downtime in December polishing up some new tunes that are going to be appearing on our new EP. We’ve got most of the songs picked out and recording starts soon! Look for the new EP in the spring! Also we’ve got a bunch of shows coming up! We also have a few Toronto dates in the works that should be announced soon! 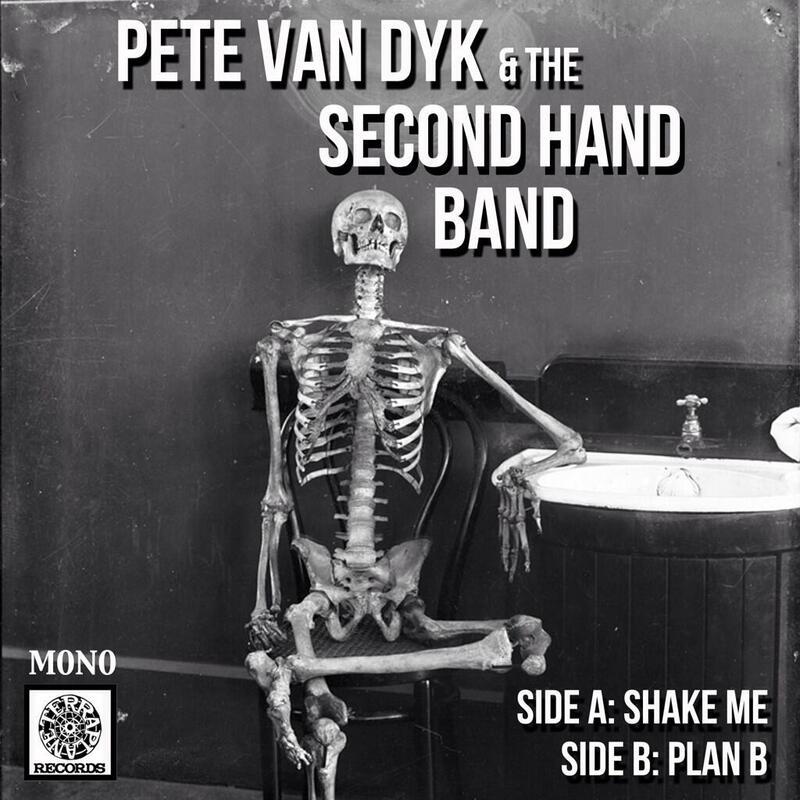 Make sure you get your hands on our latest release “Shake Me/Plan B” available at www.petevandyk.bandcamp.com for FREE! You can also buy a copy of it on square, clear vinyl for a limited time only. New Music/7 Inch Record/Fall Tour! August was an amazing month for us. Over the August long weekend we set up all our recording gear at JD’s place, moved all the furniture out of a few rooms and recorded 3 new songs. The new music will be released online for free download on Tuesday Sept 3rd and the records will ship Oct 8th. We had drums being tracked in the living room. Guitar amps in the basement and the dining room and a bunch of bass amps all over the house. We even tracked an alto saxophone at the top of a stairwell, it was pretty crazy, but we are very happy with the result. All the new tracks were engineered and mixed by JD. The new songs are: Shake Me, Plan B and To the Night. For the first time ever we will putting out a 7 inch lathe cut record featuring Shake Me and Plan B. All the songs will also be available online for FREE download. Were also hitting the road in the fall with our pals Dead City Soul Revue and Womb. Oct 19 @ Grumpy’s – Montreal. Things are going great over in Second Hand Band Land. We had 4 Hamilton shows in May, and a few in June as well as a special stop at the Sound of Music Festival in Burlington. Friday night we played at Absinthe and our next stops are July 11 at Measure in Toronto for Womb’s EP release and July 16 at Baltimore House in Hamilton. We have been busy working on songs for the new record. Thanks to everyone who supported the new song and video “Rise the Falling Sun’, we had alot of positive reviews which was great! We start recording the new album August 3rd, JD will be engineering and recording the whole album as well. We’re itching to get started on tracking. Stay tuned for a video coming your way soon to. Check it out! We are pleased to share our new music video with you for our brand new tune “Rise the Falling Sun”. It was directed by James Maunder and shot at various locations around Hamilton, made possible by a grant from Cobalt Connects. A big thanks to everyone who made this happen especially our director James Maunder, Jenny, Jeremy and Katie at Cobalt Connects and the guys at the Baltimore House and Porcelain Records.